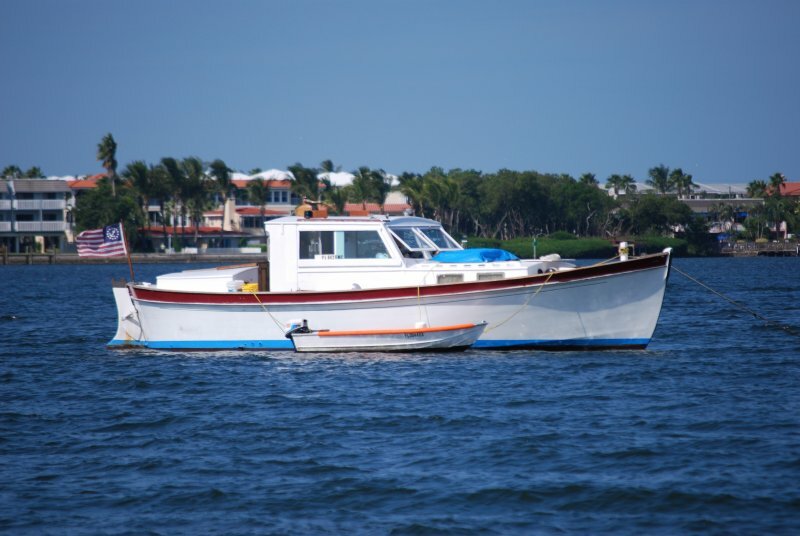 NAMAKI II was first launched in New Hampshire in 1960 after Edgar Davis built her for C. A. Harrington. In 2008, Peter Knocke hired Rick Viera to repair a seeping chine log in 2008. Repairs involved replacement of several planks, the chine logs, gussets, and frames. Rick started work in November of 2008 and launched NAMAKI II from the N. E. Taylor Boat Works in Cortez, Florida in June of 2009.